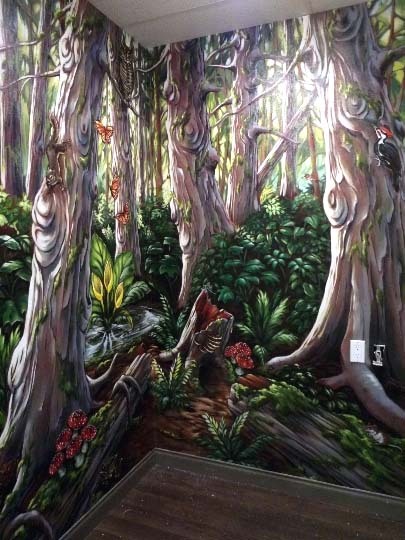 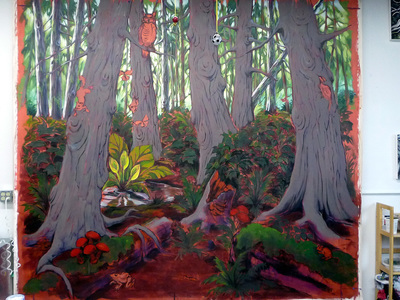 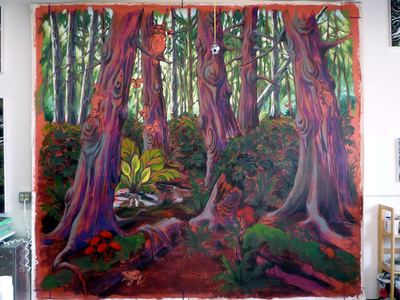 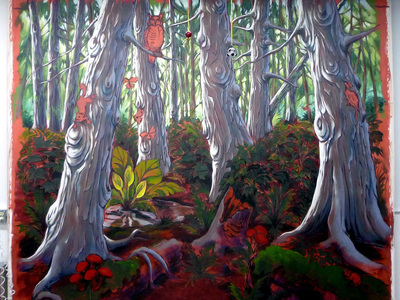 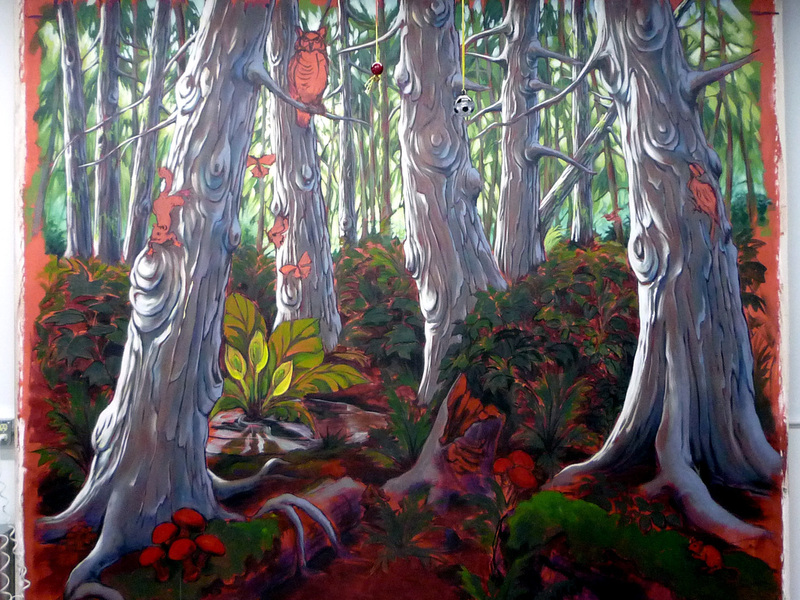 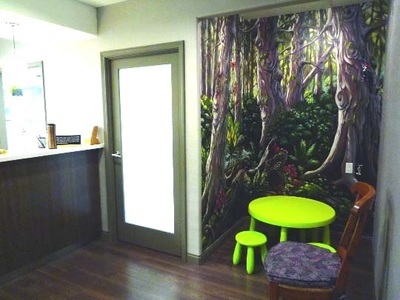 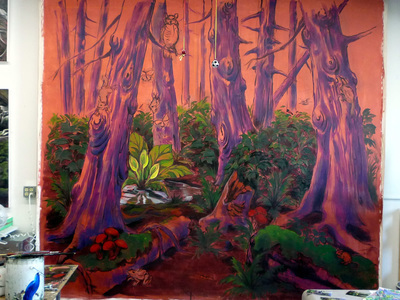 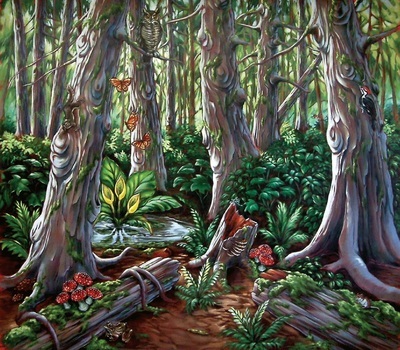 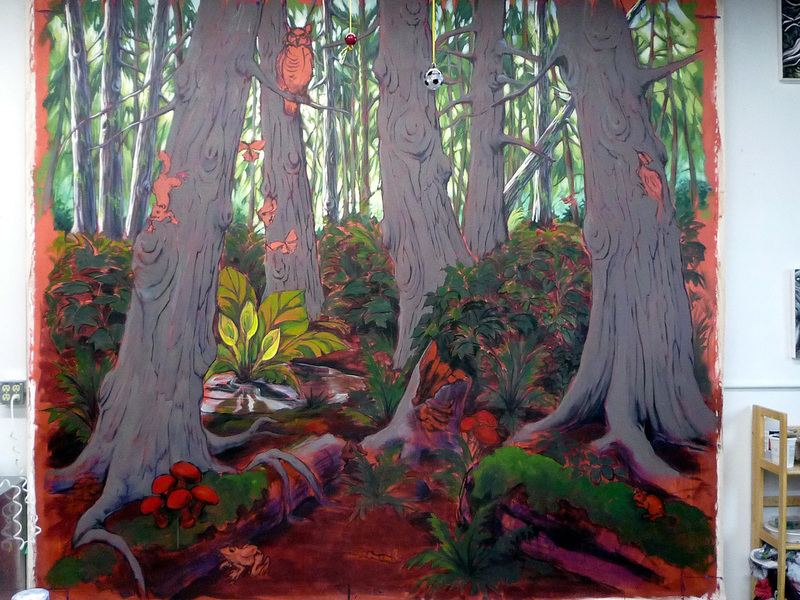 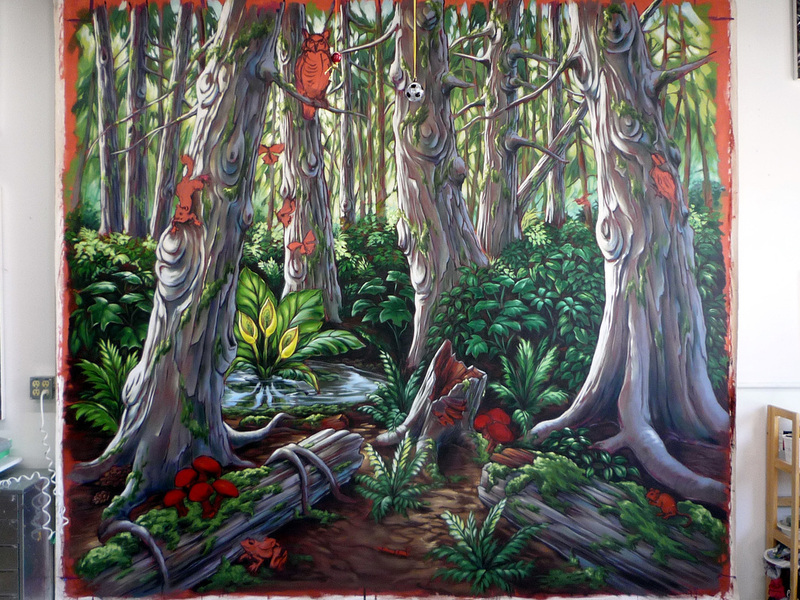 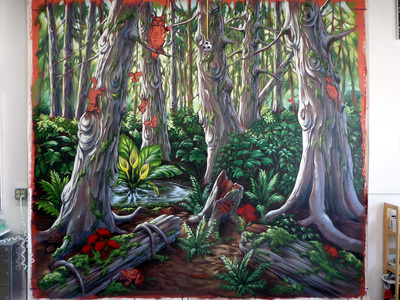 In 2012 I painted this mural for a dentist's office in Coquitlam. 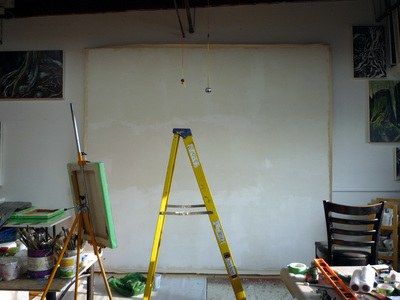 The total size was 10'x10'. 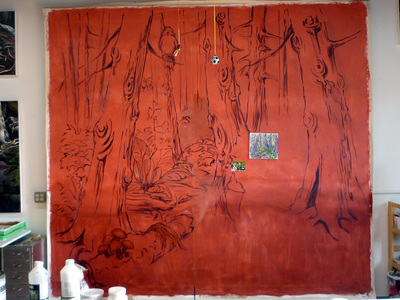 It was painted on canvas in my studio and later applied as a wall covering in the office. 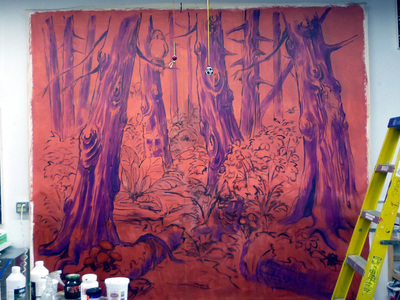 It was great fun to paint, and looks fantastic in situ. 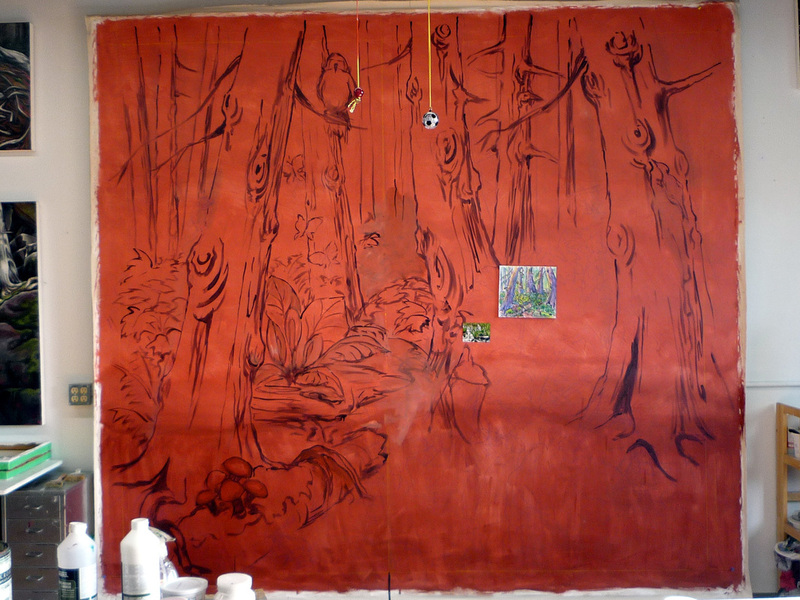 Here is the step by step process of its creation.